You save 25% purchasing this value pack! I integrated another Chinese Knots with Wire Jewelry making this time. For those who are interested in how Chinese Knot can be integrated with Wire Jewelry making should purchase this guide. Similar to PIPA Knotting and Skylark Knotting, I am introducing another Chinese Knot that has unlimited potentials in Wire Jewelry Making � let your imagination run wild and you shall see the amazing outcome. This ring is just a media for me to knowledge transfer the technique. You can also purchase an individual DCH004. You can also purchase an individual DCH014. 2. Creating Studs earrings base. There are total of 6 steps in making this pair of earrings, to deliver the clearest instruction, the beautifully taken 53 pictures will provide you the means from end to end to make this pair of earrings. In this document, it also listed out the tools and materials being used. This lesson shows how to develop a pair of ZHU Studs Earrings. You can also purchase an individual DCH020. 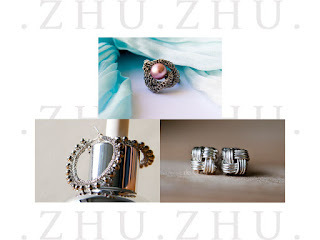 PLEASE DO NOT LEND TO OTHERS, SHARE AMONG FORUM, SHARE AMONG FRIENDS, COPY AND MASS PRODUCE THE RING AND EARRINGS OUT OF IT. Please do not copy text, pictures, or any resources from within this tutorial, this tutorial is meant for PERSONAL USE ONLY. I appreciate any help in protecting me and my creations/designs/resources - please keep in mind that PLAGIARISM KILL CREATIVITY AND SHARING. And if you would be so kind, please give a credit to me if my tutorial inspired you or helped you in your jewelry making journey, it would be greatly appreciated!